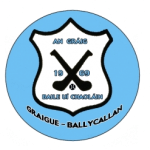 Graigue Ballycallan U10’s hosted Danesfort at Tom Ryall Park in Kilmanagh on Friday 17th May ably assisted by some brave boys from the U8’s. All were needed against a team that were spoilt for choice in the numbers they had available. Both clubs divided into two groups of ten players and each team rotated so that two hard fought games were played on a windy pitch. Everyone will learn from these hard fought games and in the long run it’s the Team effort that comes out on top! Frank McCluskey – made good interceptions and marked his man well. Robbie Lynch – worked very hard and never gave up. Elliot Teehan – Brave hearted and strong player who never gives up. Robbie Tector – covers a lot of ground and continually chases the ball, never gives up. 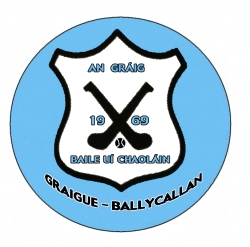 Graigue only won one of the four games but importantly fought very hard to the final whistle. No doubt with games likes these, it gives all the panel an idea what it takes to succeed and enjoy their chosen sport and the commitment and determination needed when you meet tough opponents.